I just returned from a trip to Micronesia but since it was going to be a nice morning tide, SteveT and I decided to go try our luck fly fishing the flats. We met at the park around 7:15am. The tide was headed down and was bottoming out around 10am. We made our way out to our usual spot with SteveT fishing the inside aa I moved further out towards the breakers. 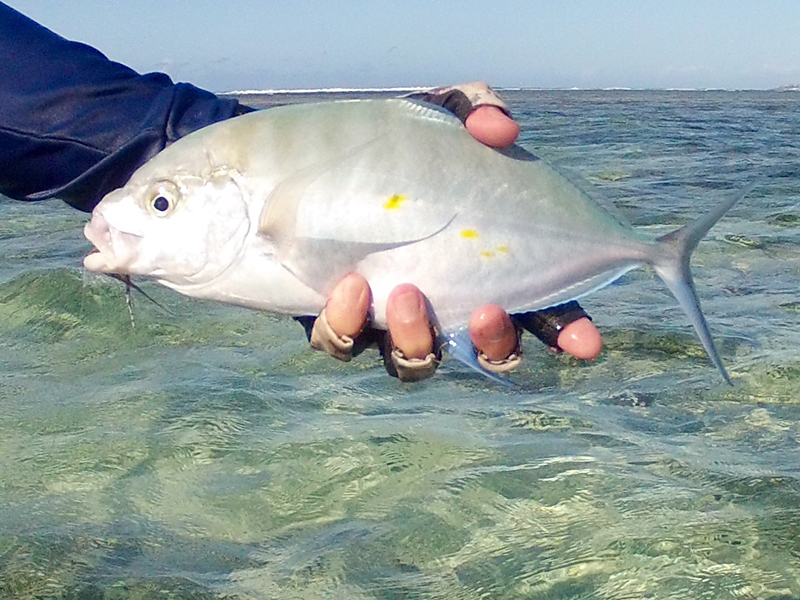 I got the first fish, hooking up with a Yellow Dot Trevally (papio) and then a Blue Fin Jack. We started to make our way back to the parking lot with SteveT still fishing inside. He finally hooked into a nice 4 pound bonefish that gave him a good fight and I got into a good size Mongoose Fish (Cigar Wrasse), which are supposed to be good eating, and another papio. SteveT managed to hook up into another, smaller bone while I caught more Yellow Dot papio. 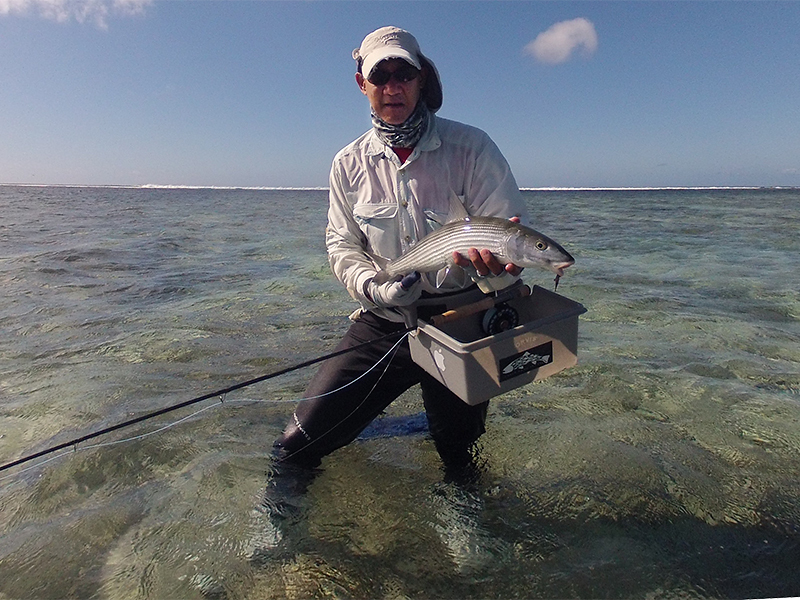 There are lots of small papio around now because the oama (baby Goatfish) are back in town. We fished for a while more before deciding to call it a day.